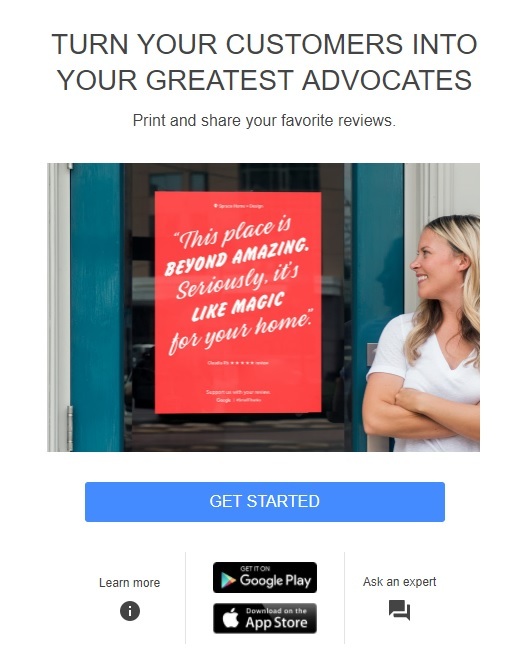 To customize and print a poster of your customer reviews, visit smallthanks.withgoogle.com, enter your business name, then select one of the posters or customize your own. 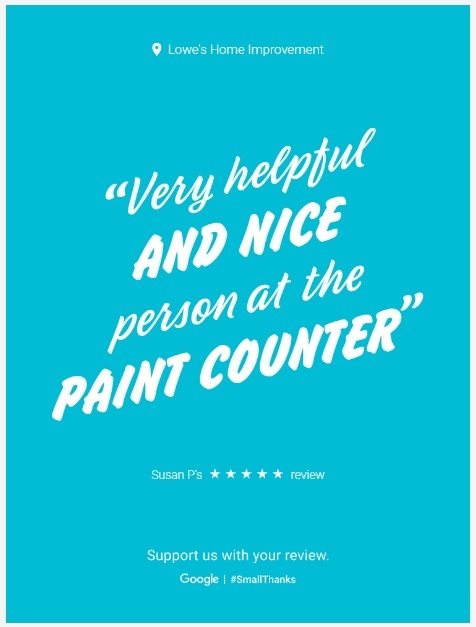 You can change the poster template and select your customer review of choice using the Small Thanks with Google website. I began seeing this neat new feature along with customer reviews in October 2017, but some users were made aware of it as early as August, such as clear-pg.com who wrote about it here. To see if your business is eligible, visit the Small Thanks with Google website. It turns out, for the moment anyways, you can make posters for any business. You don’t even need to be logged in. Will you be displaying customer reviews on a poster in your business? This is a neat new feature from Google My Business. Throughout 2017, Google has been pushing business owners more and more to use Google My Business more frequently, from their main Google Accounts and even directly from search results, adding new features such as Posts and Messaging. I think the reviews will look great, framed and on display, and if a customer sees one of them there’s no doubt they’ll likely be happy.